Hello feet. It is so nice to see you again after nine months. In a recent post I mentioned a special project I was working on. Finally complete and ready for reveal, my latest project is inkle shoelaces. I wove them to raise money for the victims of the Boston Marathon bombing. Practical, cute and for a worthy cause. You can not beat it. The senselessness of that tragedy compelled me to want to help. As I thought of a way to do something, the idea came to me to raise money for the marathon victim fund, The One Fund, which was set up by the mayor of Boston and the govenor of Massachussetts. But how? Then inspiration hit; I could weave shoelaces, in the colors of the Boston Marathon. The colors are so inkle perfect, not to mention the coincidence of them being my college school colors. So, I am weaving 117 pair of shoelaces and selling them through my Etsy store for the symbolic price of $11.70 to raise money for the victims of the 117th running of the Boston Marathon. Boston has held a special place in my heart since the time I first visited Boston at the age of 16. I knew I would live there one day. Something about the city just spoke to me. After college that dream came true and I actually got a job that paid me to relocate to Boston. I cherish the time I spent in Boston. There is a spirit and energy to the city that I can not resist. 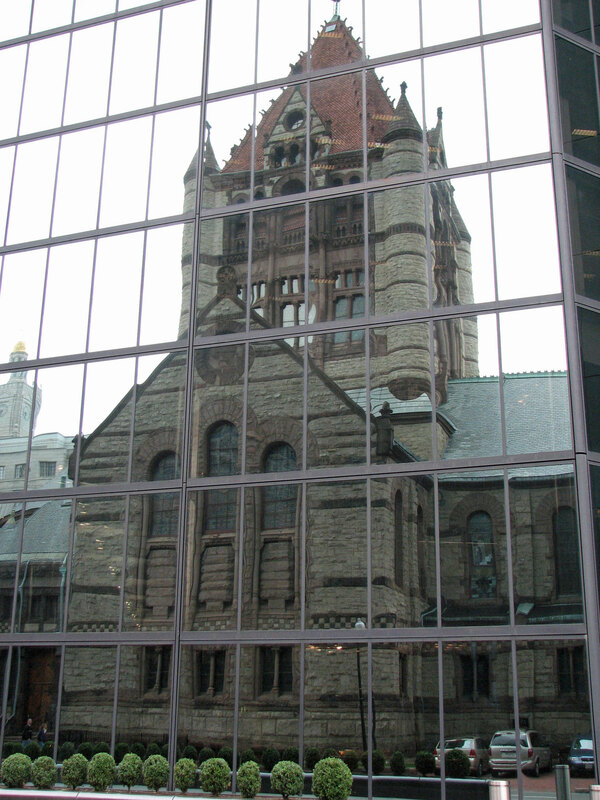 Trinity Church in Copley Square reflected in the John Hancock building. Ingenious design. So much open green space in the middle of the city. Fantastic. Even though we don’t currently live there, the events of that day feel like they happened in my backyard. Steps from the finish line on Boylston St is where my husband and I had dinner on our first date. 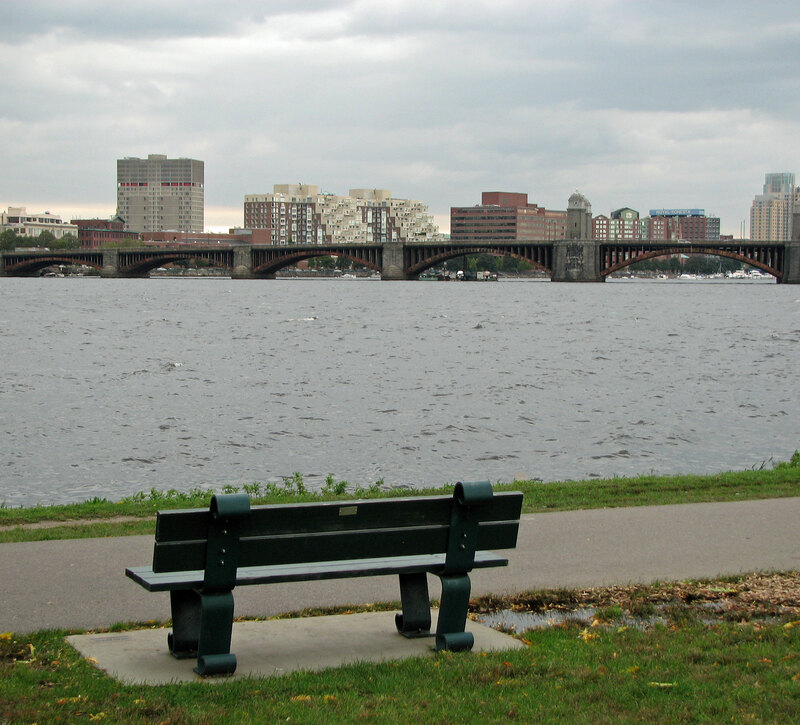 Blocks from the finish line, sitting on a bench on the Esplanade along the Charles River, where Boston holds its Independance Day celebration, he proposed to me. Yes, this is the actual bench where he proposed. Half of those very happy years were spent living in Watertown, with my now husband. On this year’s marathon day, our special town, the town we plan to move back to one day, was transformed into a place I could not understand. A town on lockdown. 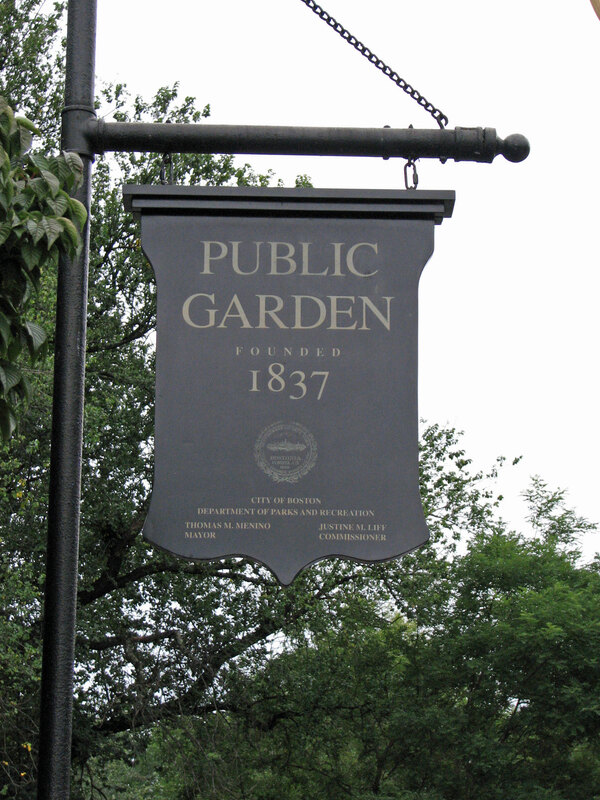 Watertown was our peaceful place, our home, a place for walks along the Charles River and to our favorite diners, including one that was in the heart of the craziness of that day. To me the Boston Marathon represents all things good. People train and train and train to run the marathon in support of people, in honor of people’s memories, to commemorate triumphs over personal battles, to accomplish a personal life goal and myriad other great reasons. Friends, family, and strangers all show up along the race route to show their support of the runners. It is a day full of goodness and good feelings. Even though the day was tarnished in such a violent and tragic way, Boston is still a place of goodness. The marathon is still an event about goodness. I hope that my shoelaces will in a small way add to that spirit of goodness. Now, I must go weave. I’ve got some shoelaces to make! It must be dusty in here. My eyes are watering. Those shoelaces are lovely! What kind of thread did you use to weave them, and how did you get such a neat finish on the tips? Hi Kara. Thank you. The laces are woven with 10/2 perle cotton from Lunatic Fringe. And for those neat tips, which I must say I just love, are finished with heat shrink tubing. They feel like the real thing. What a wonderful idea! 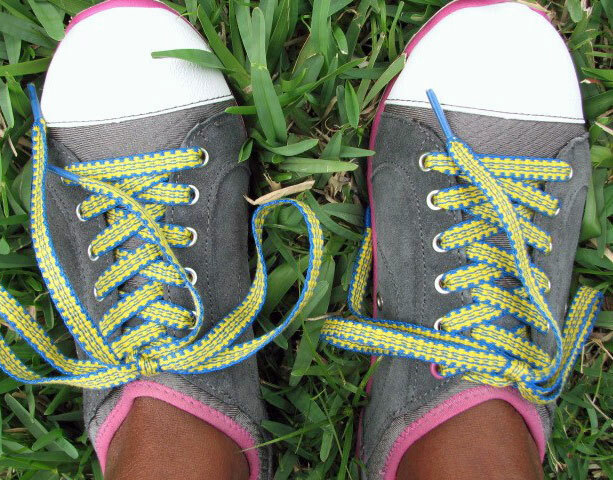 And the shoelaces are beautiful. Thank you! It is extremely satisfying to be able to make something so utilitarian that looks nice too.